Any software you want to run on your web server has its own parameters which should be met. For example, WordPress requires a minimum PHP version of 5.2.4. 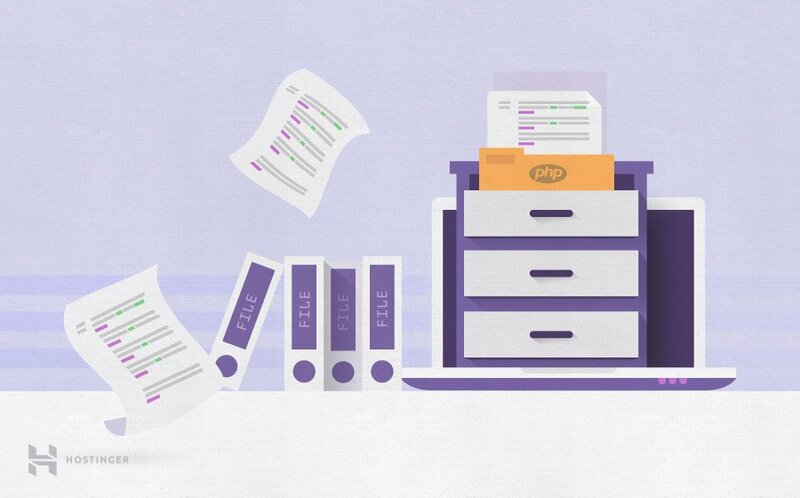 Depending on the server configuration, some PHP settings can be changed and some of them cannot, however, all of them can be found in a phpinfo file. This tutorial explains how to check the PHP information of your hosting account by using tools provided in the control panel or by creating a phpinfo file. In both cases, we will be able to check what PHP modules are enabled on the server and what their values are. This will also be useful when looking for your hosting account’s limitations, such as max_execution_time, memory_limit, post_max_size and others. On Hostinger, the account’s PHP information can be easily checked using PHP Info section. This is really convenient as there is no need to create any additional files on your hosting account. The PHP Info area can be found in the Advanced category of the dashboard. After that, you will be forwarded to the screen where all the information about your current PHP version, modules, and values will be presented. To see extra settings, you will need to scroll down. In case you wish to find data about a specific module or function, you can use CTRL+F command to open a search box within your browser. Congratulations! You have now learned how to access your phpinfo using a tool of the hosting panel. In case your hosting platform does not have the feature presented in Option 1, there is no need to worry. It is possible to reach the same goal by creating a special file inside your hosting account. The following file will also present everything about your PHP version and will be accessible via a browser. There are a few ways to create phpinfo file. In this tutorial we will show how to do this using File Manager, however, the same result can be achieved by creating the file on your local computer and uploading it to the server later with the help of a FTP client. Proceed by accessing your hosting control panel and open File Manager. Click File button to create a new file. In the New File Name field enter phpinfo.php. In the second field you can specify the folder where you want to store your file. In most cases, you can enter /public_html here. This way the file will be created in your root website directory. Once you are done, press the Create new file button. At this step, you should already have a blank file named phpinfo.php in the public_html directory. Now select it and hit Edit button to edit the content. Now copy the following code and paste it into the text editor. Once you are done, press Save Changes button. Use any text editor and create a file named phpinfo.php on your computer. Upload the file with an FTP client to your public_html folder. 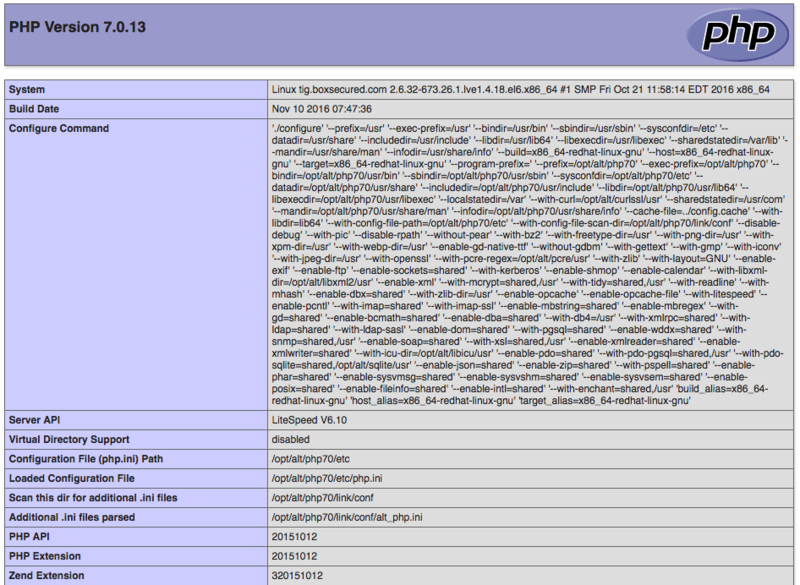 On this page you can see all PHP environment settings. In case you wish to find a specific value or setting, the CTRL+F command can be of great help. By finishing this tutorial you have learned how to create phpinfo file and check PHP environment settings. This information is useful if you want to check your hosting configuration or run a software which requires some specific PHP modules installed or enabled. Pleasant paragraph and amazing content. I am actually enjoying these a lot! – Writing plan (how many sections, their names, and similar). If you at least do these three things, you’ll have a much easier time writing your posts and articles! Very good information. Lucky me, I discovered your site by chance and bookmarked it for later! The information shared in this tutorial was very useful. Exactly what I needed. Keep on writing!